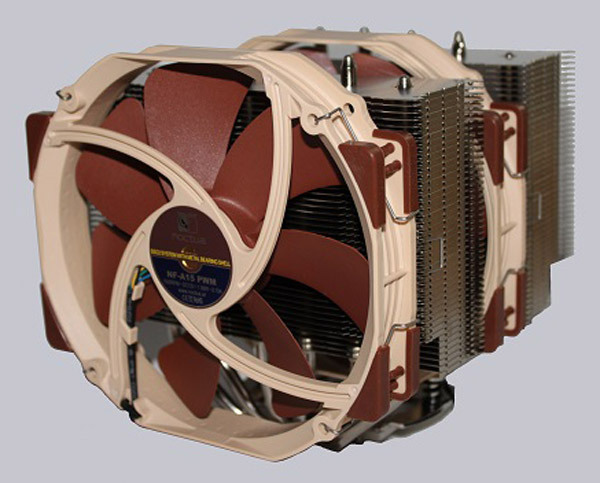 Everyone who is looking for a performance air cooler, have already heard the name – Noctua. Its predecessor NH-D14 was regularly in the upper echelons of cooler charts. 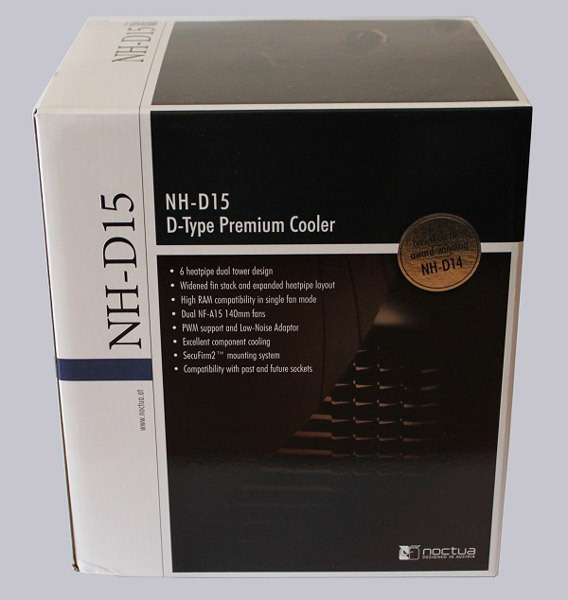 However, the Austrian company will not rest, and now publish the successor of this great cooler, the Noctua NH-D15. We like to clarify in this review, if this Noctua NH-D15 builds on the successes of its predecessor. 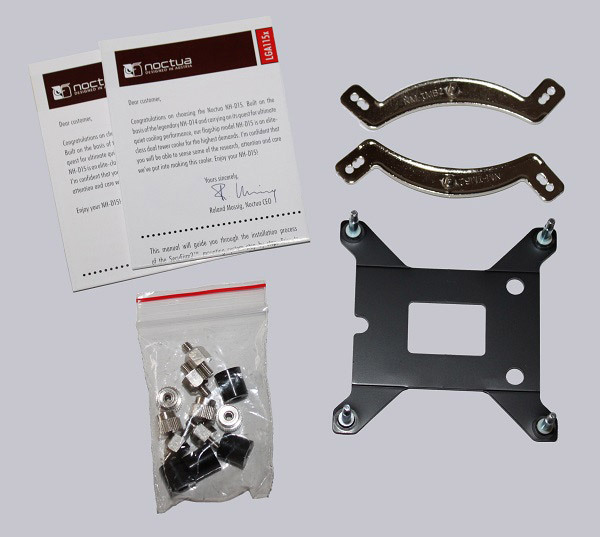 Many thanks for the review to Marauder25 and the fast delivery by the manufacturer Noctua. 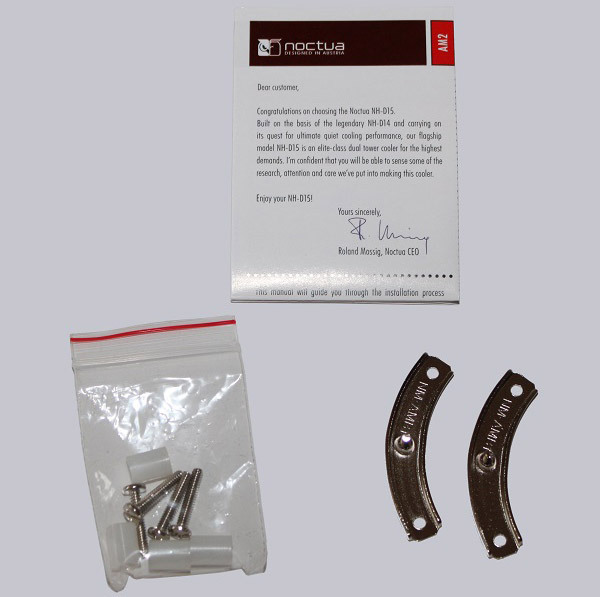 The Noctua NH-D15 has at review date a price of approx. 90 Euro. 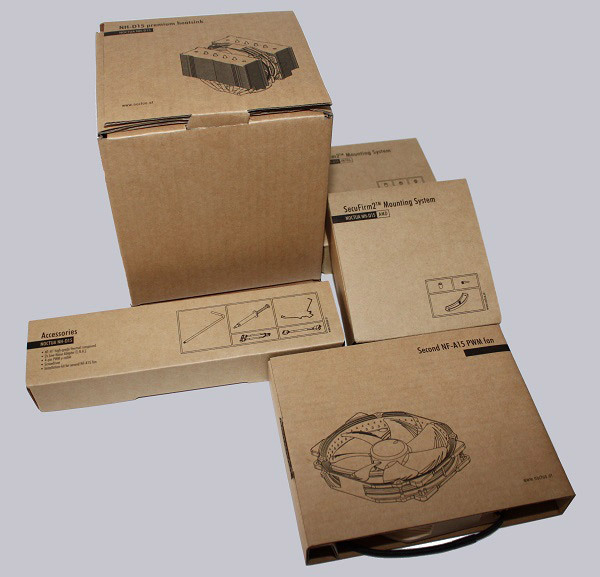 When opening the box, you can see at once that the manufacturer emphasis on possible protection of the value parts. 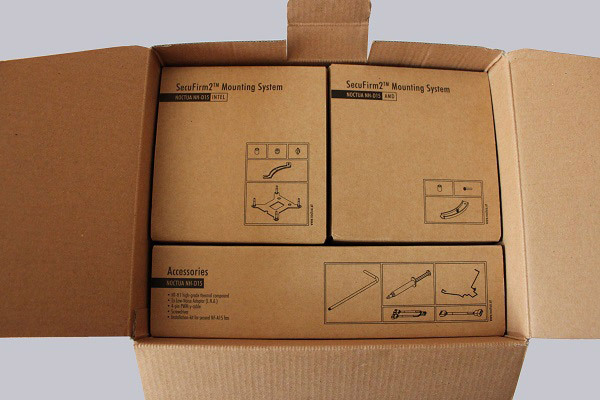 The accessories are packed in separate boxes to prevent damage and protect against external influences. 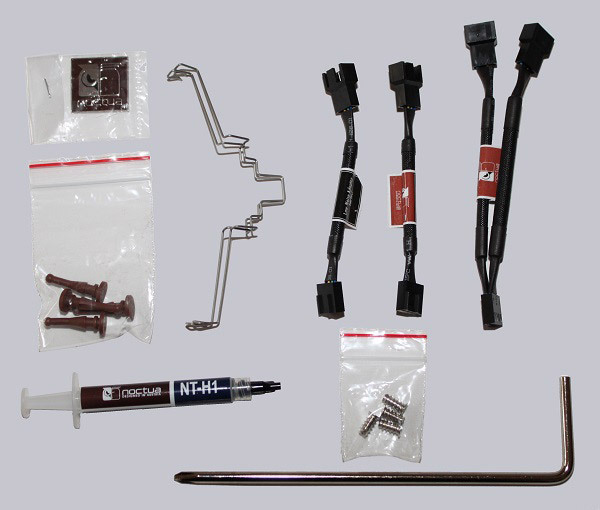 … mounting materials, fan adapter as well as a tube of Noctua NT-H1 thermal compound. As a special addition there is long angled cross screwdriver included.